We moved to Samoa when I was a teenager which in those days meant that I was a moody, mean, obnoxious, gullible, disrespectful little imp – and quite possibly a few dozen other things that I won’t mention here. In my limited knowledge of the complex world run by grownups, trampled by teens there existed the outlandish notion that in order to be better than everybody else you had only to dress better than everybody else. Shallow? No, a lot more like narrow – about as narrow minded as any human can possibly be. It only took me a few weeks of sweating profusely through my clothing and a lot of brutal Samoan honesty from my family as well as complete strangers on the streets of Apia to realize one thing about my new life in Samoa – Fashion takes a back seat to function every day, all day. From that moment on unless we were in school uniforms, going to church or to a function that required something with a little more style and substance, my siblings and I were rarely seen in anything other than a pair of athletic shorts, usually a lavalava on top of that, a tank top or tee and either flip-flops or no shoes at all. The simplicity of it all was so liberating that when we had to dress up I balked. My parents loved the fact they no longer had to hear us whine about fashionable clothes, but they still had to reign us in when we tried to slip into formal affairs wearing whatever tickled our fancy. In one of Martin Luther King’s most famous pronouncements he said that ‘they [children] will not be judged by the color of their skin but by the content of their character.” I tend to believe that the same can be true of other aspects of life including the clothing we wear and in a much more general sense, our socio-economic status. I can hardly know the hardships or triumphs that another man or woman experiences simply by the car they drive, the food they eat, the tone of their skin or the breadth of their vocabulary. I can however, know the true spirit and substance of a person if I focus on their language, their thought, understand their situation, empathize and acknowledge our similarities as well as our differences. That in a nutshell is what Samoa and my mother taught me about fashion or the lack thereof – that I cannot allow my attire to dictate who I am to the world, but rather I should allow my character be the definition that matters to the world. Does it match? My friend, flip-flops and lavalava’s match with any old thing. 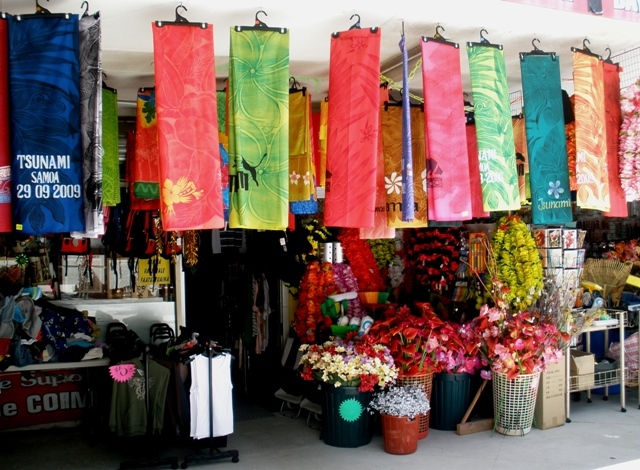 Visit my friend Malaela’s online store LavalavaLife to purchase your own lavalava. Previous Previous post: A bout with Adult Separation Anxiety Disorder?